Veni, Vidi, Victus Sum.... I came,I saw, I was conquered. 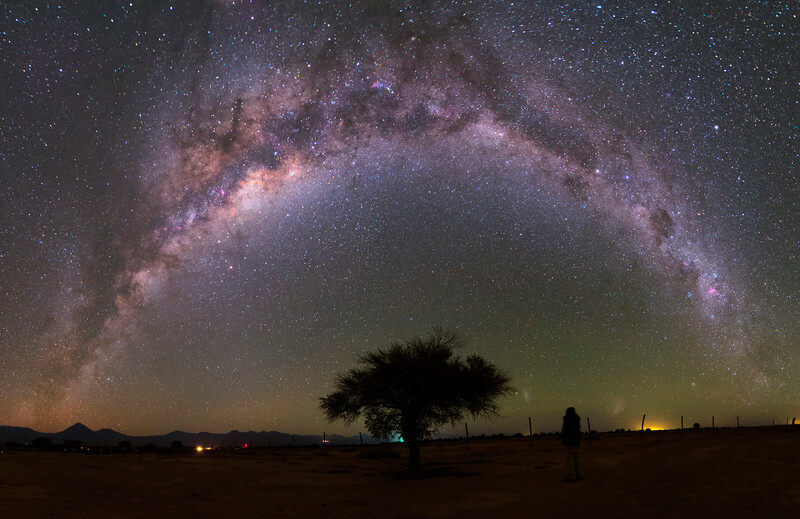 The mindblowing southern milky way at 3 am in the Atacama desert. I am standing between the Small and Large Magellanic Clouds staring at the galactic center. This is a 7 image pano with Samyang 14mm lens and a modified Canon 6d ...each image was shot at 6400 iso and 32 second exposure. Image taken by Lynn Hilborn, San Pedro de Atacama on April 12, 2018.